Mars feels completely comfortable in Capricorn because this energetic planet is driven to succeed, just as Capricorn is all about working hard and achieving goals to get ahead. 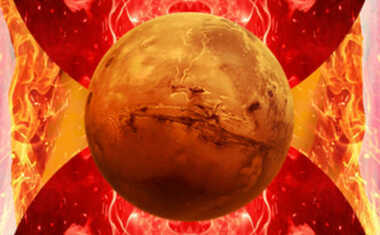 In fact, Mars' energies flow so powerfully and easily in Capricorn that astrologers say it is "exalted" in this sign. This period, then, is excellent for taking on big tasks and seeing them all the way through to the finish. Mars feels completely comfortable in Capricorn because this energetic planet is driven to succeed, just as Capricorn is all about working hard and achieving goals to get ahead. 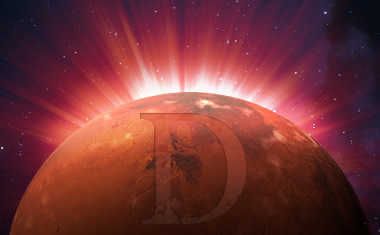 In fact, Mars’ energies flow so powerfully and easily in Capricorn that astrologers say it is "exalted" in this sign. 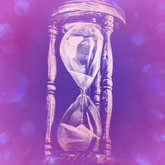 This period, then, is excellent for taking on big tasks and seeing them all the way through to the finish. 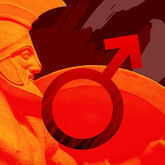 Mars in Capricorn is a powerful transit, but in a more understated way. Mars typically charges ahead loudly, forcefully, and impulsively, but with Capricorn overseeing things, Mars will have more direction. The planet of action will still push ahead, but it will do so calmly and toward very direct goals, which really gives Mars more power than ever before. Want to know if YOUR Mars is in Capricorn? Find out with a FREE Essential Birth Report sample now. Capricorn is ruled by Saturn, the planet of structure and stability. So when Mars moves into this sign, forget about getting caught up in pipedreams or impulsive behavior. We’ll be looking at life through a more realistic and level-headed lens at this time. Mars in Capricorn wants us to survey what’s in front of us, plan our next move, and get down to business so we turn ideas into realities. There’s another upside to the pragmatic energy created by Mars in Capricorn. This transit wants us to not only question why we’re doing what we’re doing, but how we’re doing it. Mars wants to act, and Capricorn wants to make sure we do it with purpose. This transit, then, is a time to set clearer goals and re-evaluate our previous goals so we can do them in a better, more efficient way. Neither Mars nor Capricorn is afraid of hard work. In fact, both need to push against obstacles to keep their muscles in shape. Because many of us will feel more on top of things and driven than usual, Mars in Capricorn is a good time to start a new project or get back to finishing something we’ve already started. If we don’t have a serious goal, this transit will encourage us to go out and find one. There is little that cannot be accomplished when we are clear, committed, and stick to our plans. Unfortunately, neither Mars nor Capricorn is known for sensitivity. This toughness helps us break through barriers while ignoring our own discomfort. However, it can also express itself as blind ambition, the kind that doesn’t see (or care about) the little people we step on as we climb the ladder of success. 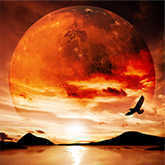 Compassion -- for yourself and others -- is a good balance against the possible excesses of Mars in Capricorn. As someone with their Mars in Capricorn, you like to keep it real. You don’t get caught up in -- or blinded by -- hope, possibilities, or illusions. No, you like your feet planted firmly on the ground of the realistic world. Because you can see things for what they are, you’re able to set practical and attainable goals for yourself. This, coupled with your hard work and perseverance, is why you’re often so successful in your pursuits. "Cool as a cucumber" is how someone might describe those with their Mars in Capricorn. You aren’t one to let things easily get underneath your skin, rarely losing your temper. If someone does manage to get a rise out of you, you don’t believe in being bitter ... you believe in getting better. To you, success is the ultimate revenge. Having your Mars in Capricorn means you aren’t one to let feelings or short-term gratification get in the way of whatever you’re trying to accomplish. You have the ability to see a goal and go after it relentlessly until you’ve achieved it. Unfortunately, your tunnel vision means that you’re so focused on what’s ahead of you that you can’t see who you’ve bulldozed along the way. Remember, it can be lonely at the top if you don’t have people to help celebrate your successes. With your Mars in Capricorn, you don’t take commitment lightly, and aren’t one to rush into a relationship. Although your reserved exterior may lead people to believe there isn’t much passion below the surface, you actually have a strong libido and earthy sensuality that you reveal to someone once you’ve gotten closer. Activate passion and connect with your personal drive! Reveal everything about Mars’ influence in your birth chart. 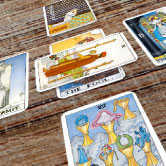 This Celtic Cross Tarot Reading utilizes 10 cards to provide insight and guidance for any situation in your life. This 5-card Tarot spread will help you follow unfolding issues and their potential consequences over time.